I love to travel and I’ve taken hundreds and hundreds of photos on these trips. A few years ago, I started drawing and painting from some of the more interesting photos, especially ones that contained a vibrant memory. Then I started doing the same for friends and family… and my Sketchy Memories commission service was born! Today, I can take your favourite photos and uniquely capture them in ink and watercolour. How does this work? Easy peasy! Select some photos that would make great Sketchy Memories – see the “Getting Started” page for some tips on choosing your photos. 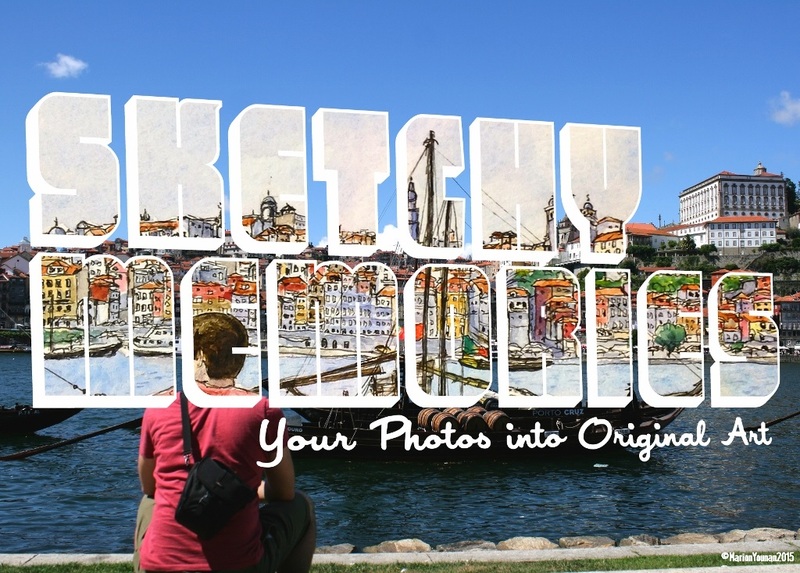 You should have 2 – 4 photos selected even if you want only one piece of art done. Choose from 3 sizes, all that easily fit the most popular size of frames – 5″x7″, 8″x10″, or 11″x14″. It is also possible to commission miniatures pieces at 2.5″ x 3.5″, but note that there is a 2-piece minimum. Use the Contact Form below to contact me with your request, including the number of pieces you’d like done and the sizes. I’ll respond to you with an email address where you can forward the photos you’ve selected as possible subjects. I’ll look over the photos and reply to you by email about what I’d suggest, along with a quote and an estimated completion time. Please note that I only paint commission pieces in the months when I am not preparing for or participating in shows – usually October to the beginning of February. After receiving payment in full, I’ll start to work. When done, I’ll send you a preview scanned/photographed image of your finished work by email to ensure your satisfaction. I’ll ship you the drawing in a protected envelope. It will come without a mat or framing, so that you can decide how you’d like to display your drawing. If you are local, we can arrange delivery or pick up, as well. I will provide you with a quote once I receive your photos and we discuss what you’d like done. Once I review your photos, I will send you a quote for your piece/s. Applicable taxes are not included in the price, but will be noted in your quote. All prices are in Canadian dollars. What about shipping or returns or copyright or…? These important details and others are found on the The Sketchy FAQs page, so PLEASE read through it carefully. Connect to the FAQ Page now. And if you have further questions, use the Contact Form below to contact me. Is your memory of your last vacation getting a little sketchy… then let’s get started! Fill out the Contact Form and I’ll get back to you right away!